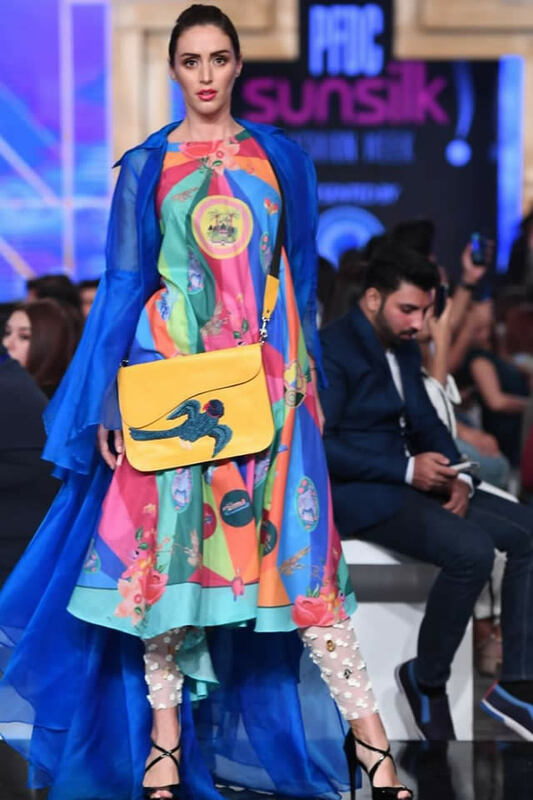 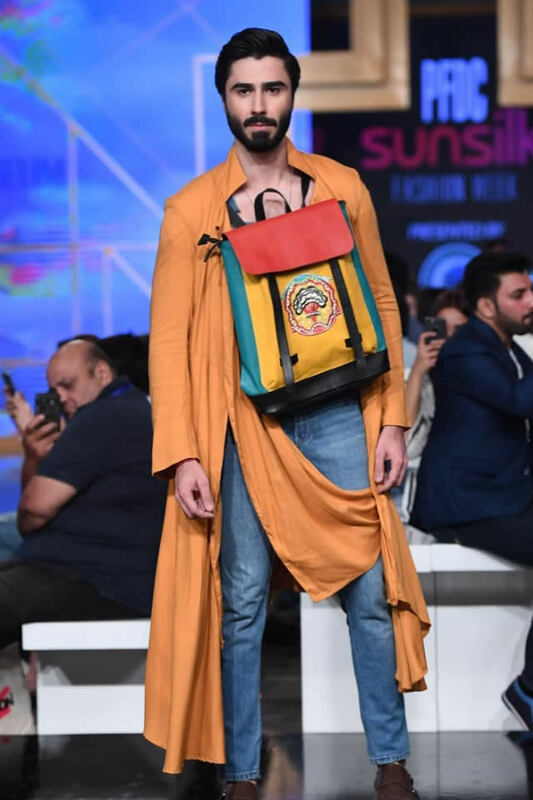 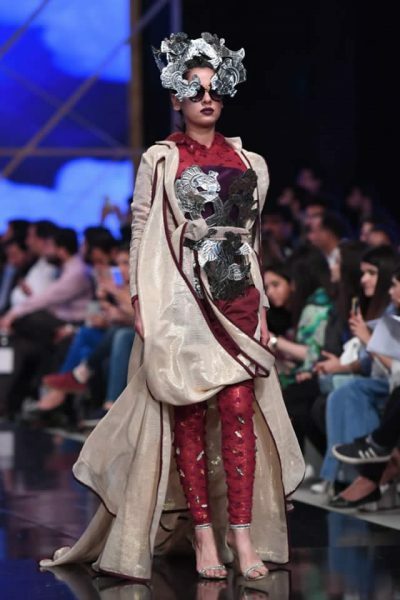 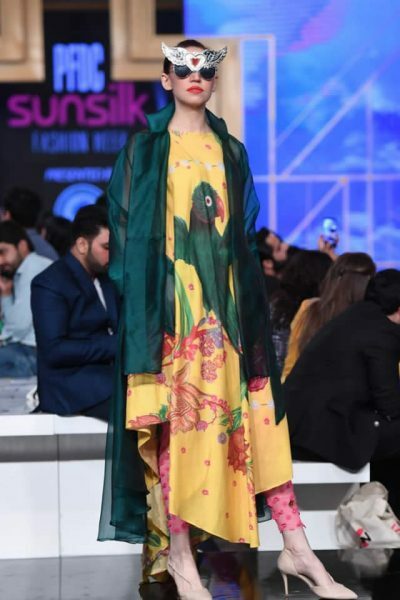 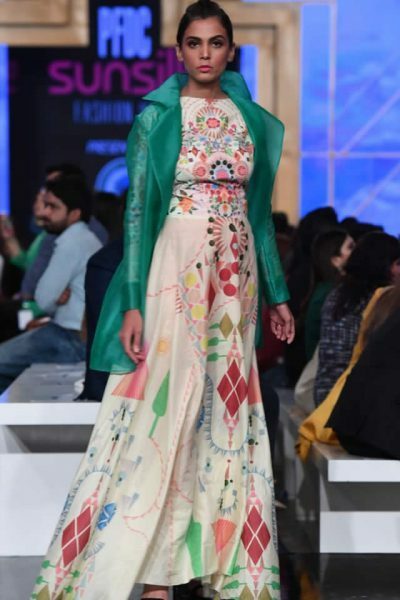 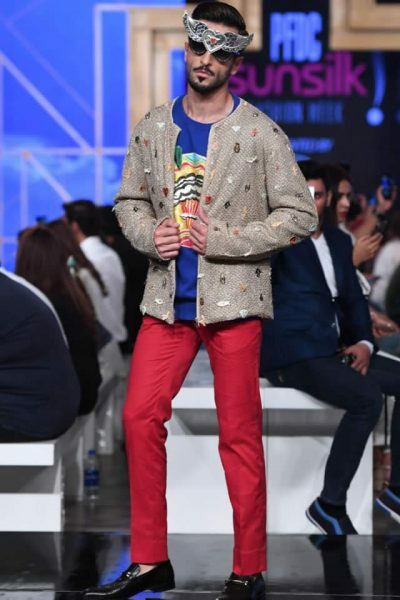 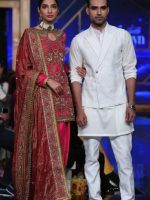 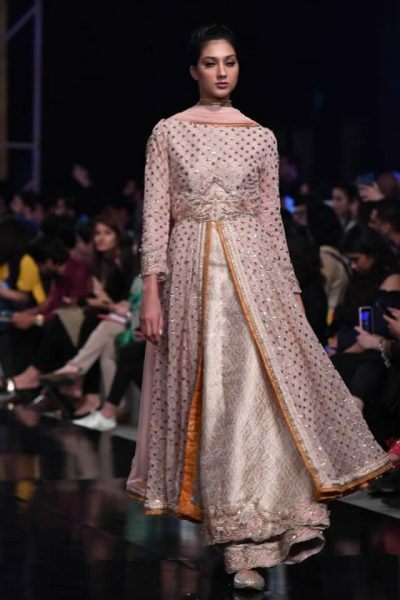 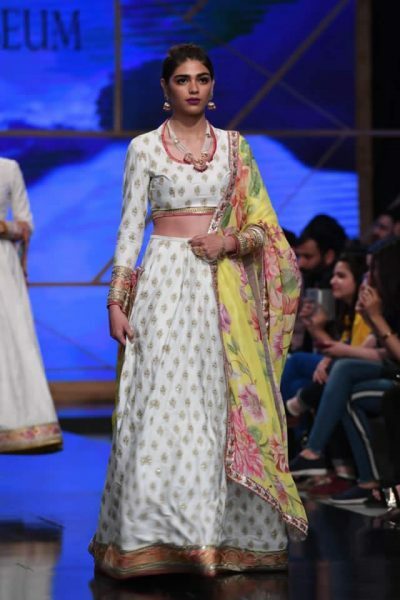 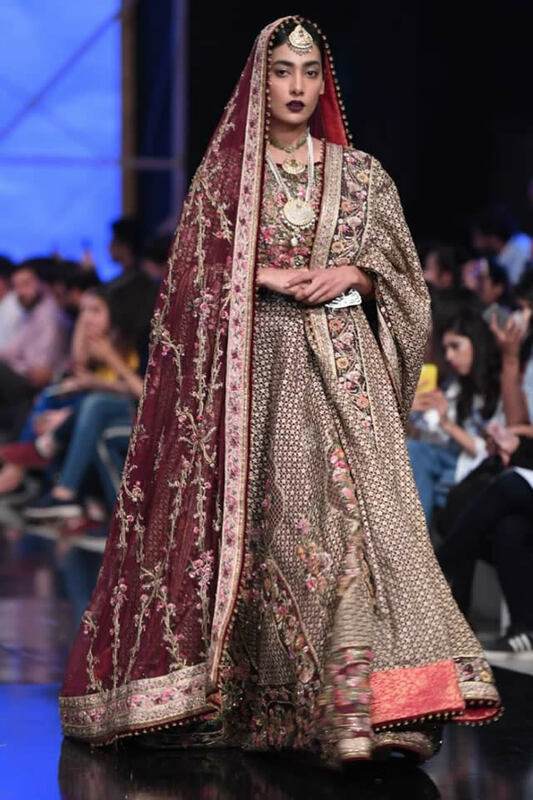 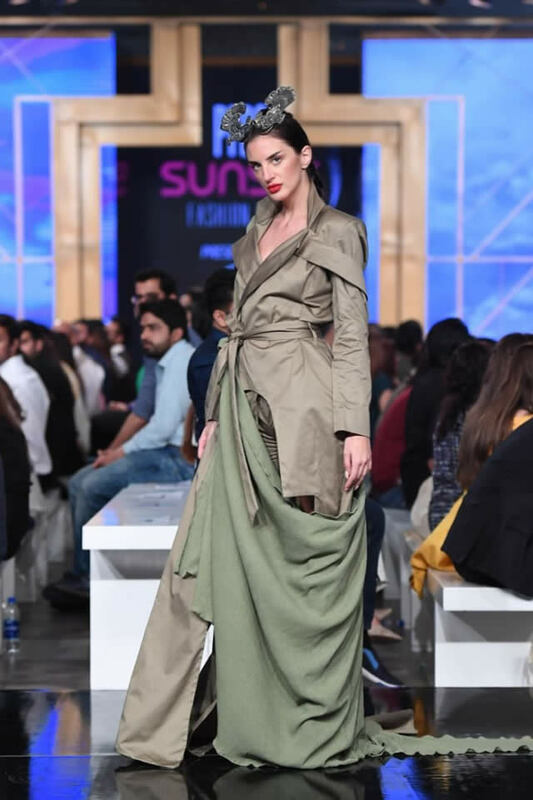 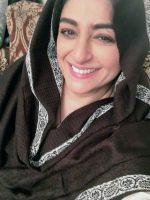 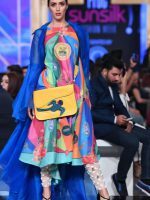 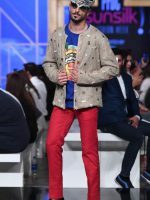 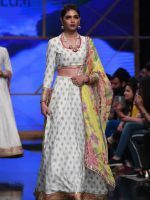 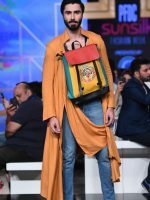 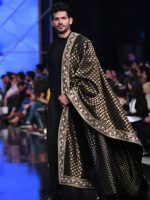 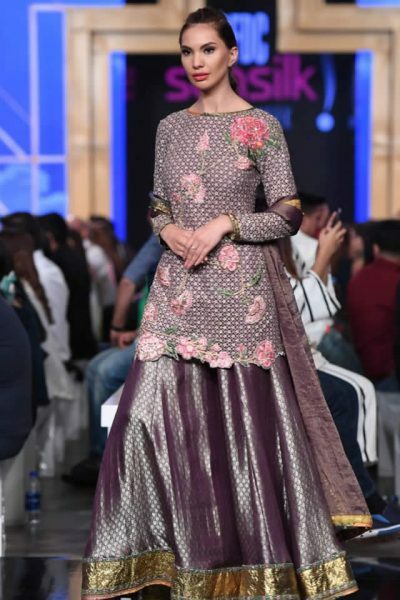 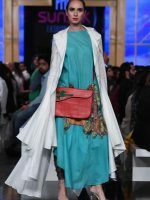 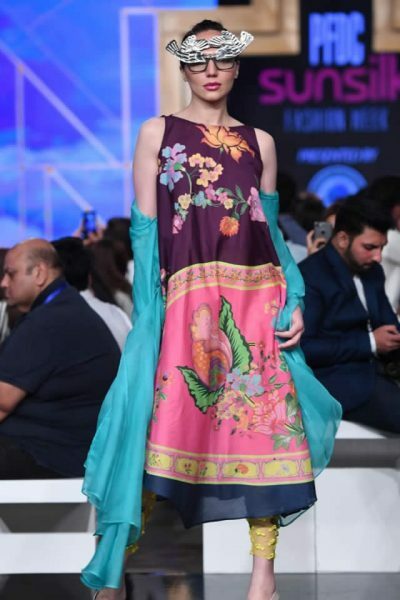 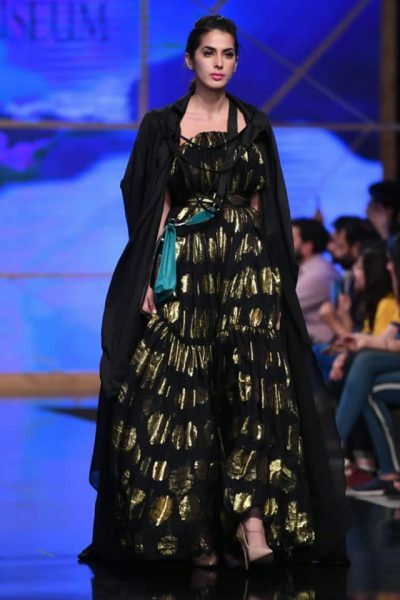 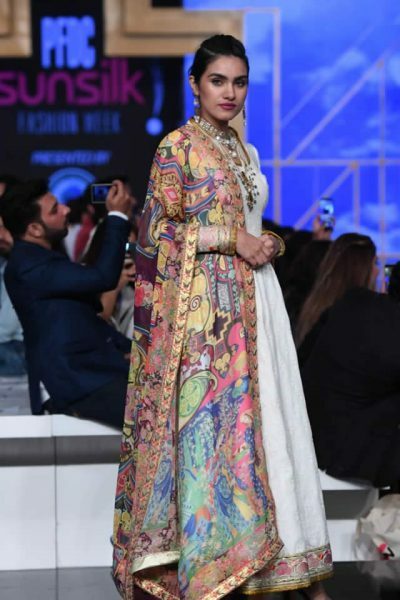 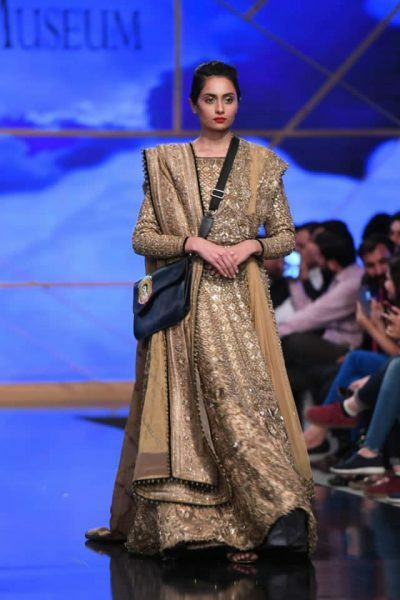 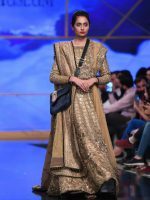 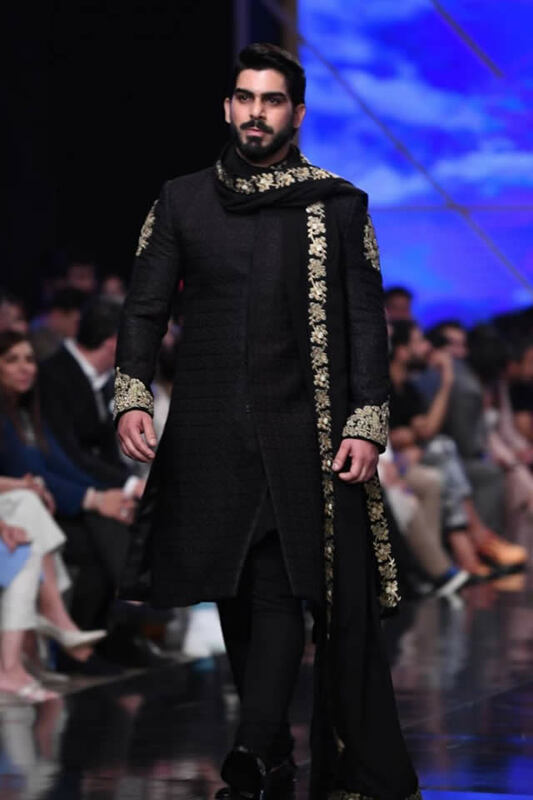 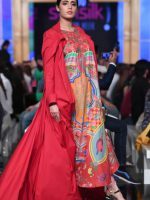 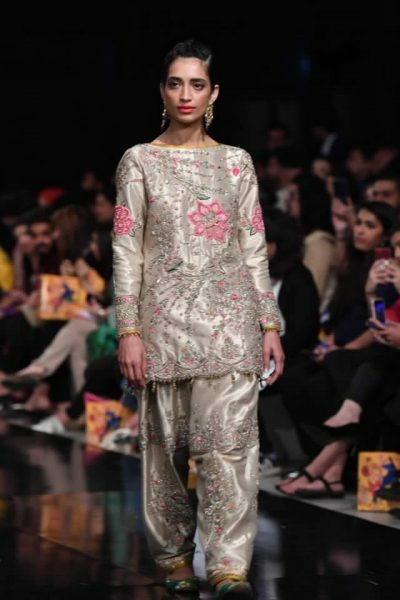 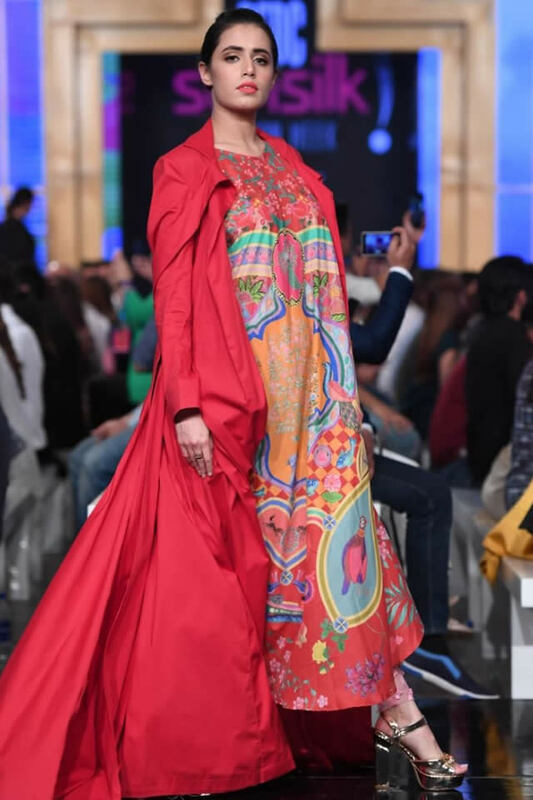 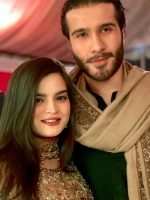 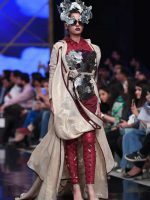 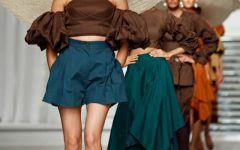 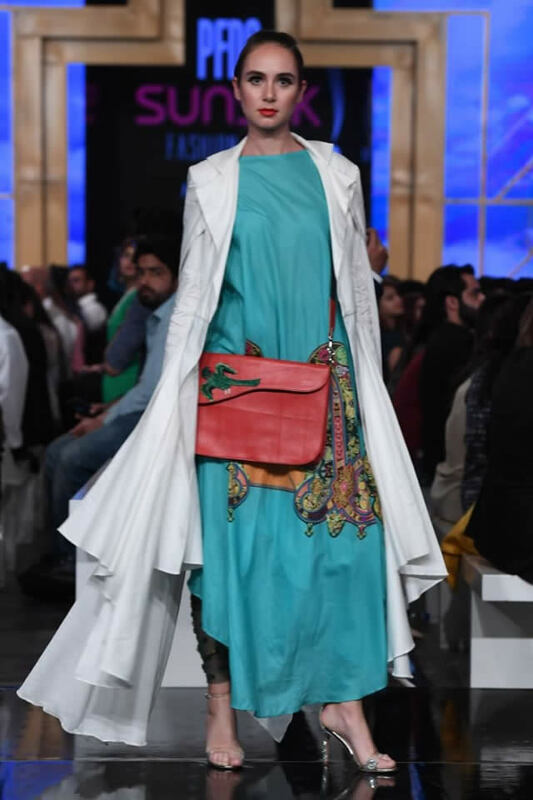 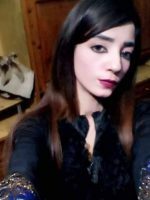 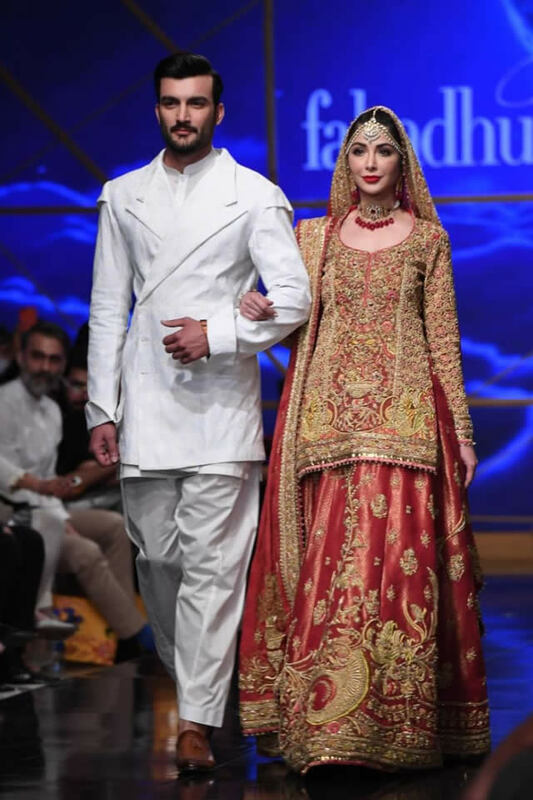 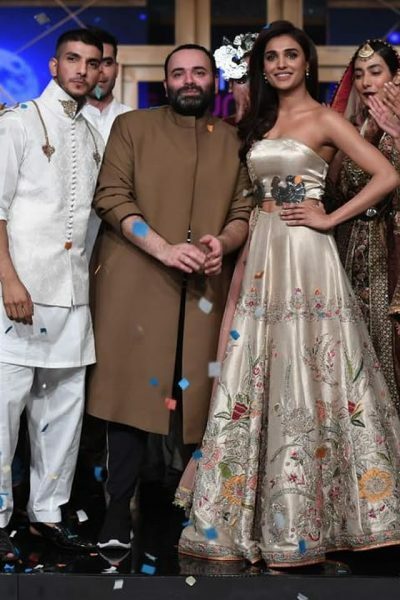 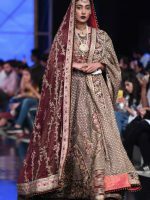 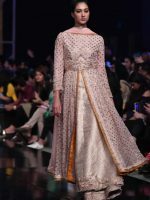 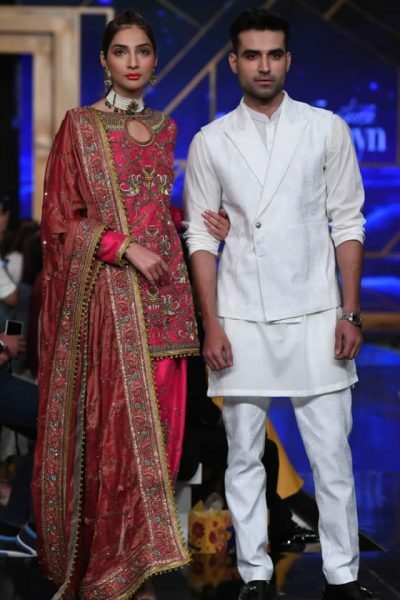 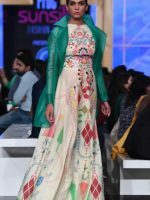 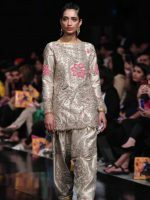 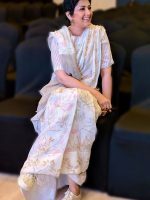 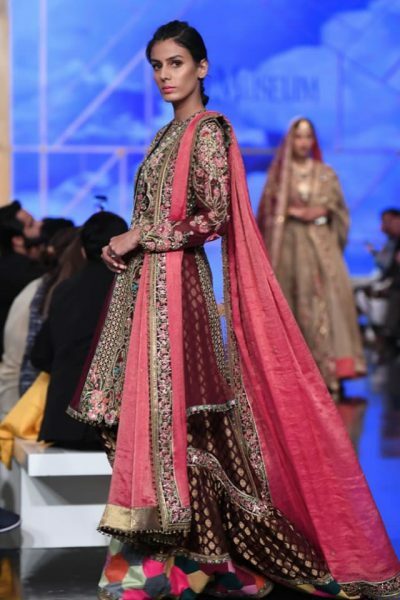 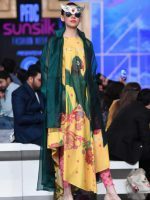 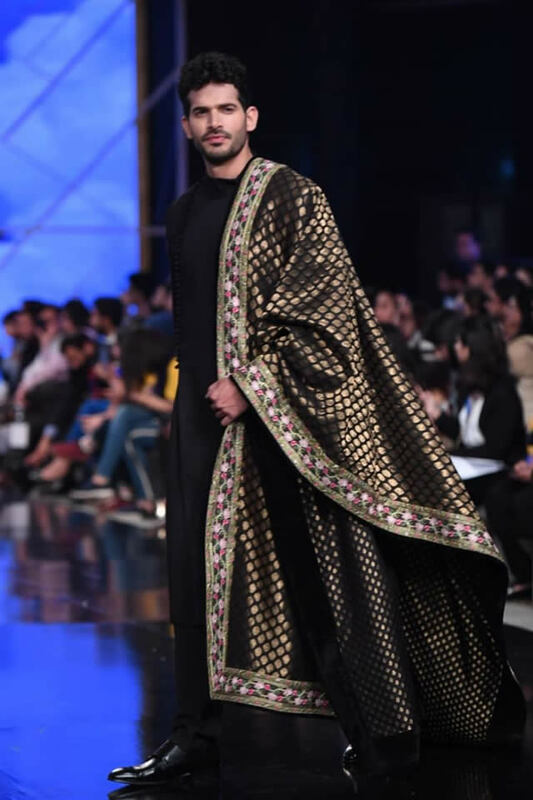 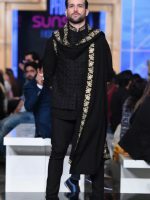 Fashion designer Fahad Hussayn showcased his latest Suaiya Titanic collection at PFDC Sunsilk fashion week 2019 in lahore. Celebrating a successful decade of decadence, Fahad Hussayn presents “Suraiya Titanic” spring/summer 2019 at, the PFDC Sunsilk Fashion Week the collection features hand painted truck art inspired layouts and characters infused in hand painted, illustrated & vector drawings, giving it a new contemporary direction as a study of the recent cross cultural interventions in our region, the collection consists of our luxury lawn for the season 2019 comprising of Pakistan’s first pre patterned lawn in signature fahad hussayn cuts in custom engineered prints. 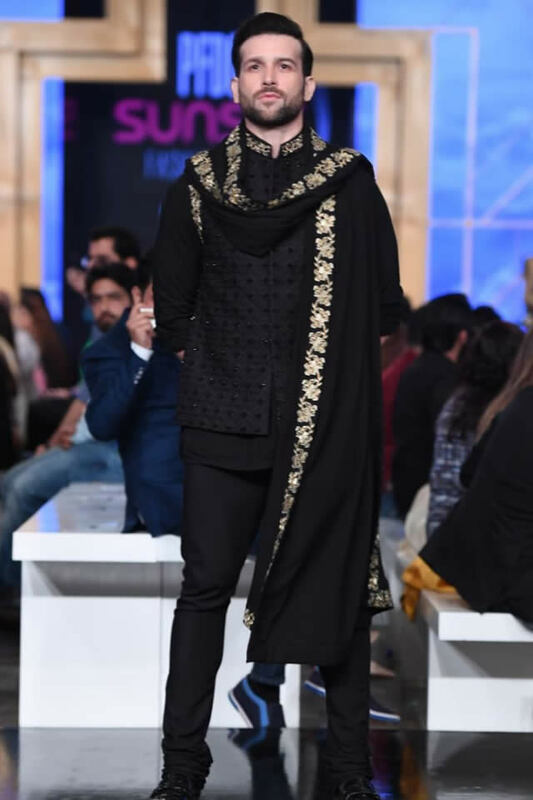 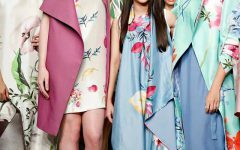 Alongside this the label introduces a range of cotton couture consisting of looks for the upcoming festive seasons combining Print Museum and Fahad Hussayn Couture sensibilities for both men and women. 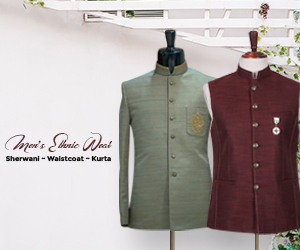 Accomplished with intricate detailing and label’s signature finishes, the collection also features a range of Novelty Couture pieces from the heritage revival series.